LANCASTER, PA, April 23, 2018 Family fun is right around the corner during Dutch Wonderland’s Grand Opening Weekend, April 28th and 29th! Duke the Dragon, the park’s mascot, and the royal characters will be kicking off the season with a ribbon cutting ceremony at 10am on Saturday near the park entrance. A commemorative pin will be given to the first 1,000 guests who enter the gates on Saturday & Sunday. It wouldn’t be a celebration without the balloons – the park will also have a balloon station available at select times throughout the day for guests ages 12 and under. New for this season, Dutch Wonderland is opening Merlin’s Mayhem, their first suspended roller coaster! A ribbon cutting ceremony will be held at the ride’s entrance after the park gates open on Saturday, April 28th. After the ceremony, guests will take this enchanted flying coaster on a journey to find Merlin’s beloved dragon friend, Mayhem. For more information, please visit dutchwonderland.com/MerlinsMayhem. Dutch Wonderland is open weekends beginning Saturday, April 28; daily Memorial Day weekend through Labor Day; and weekends in September and October. Admission prices at the gate are $44.99 for Royalty (ages 3-59), $39.99 for Senior Royalty (ages 60-69) and $31.99 for Senior Plus Royalty (ages 70 and over). 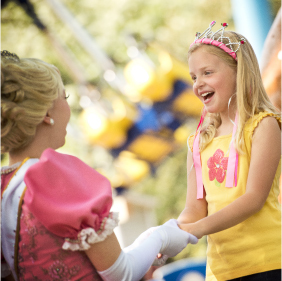 Royalty-In-Training (ages 2 and under) are free. All admissions are subject to amusement tax.